Pfizer, the world's largest drugmaker, will pay $2.3 billion in connection with illegal drug promotions. The pharmaceutical giant Pfizer will to pay a record $2.3 billion settlement for illegal drug promotion. 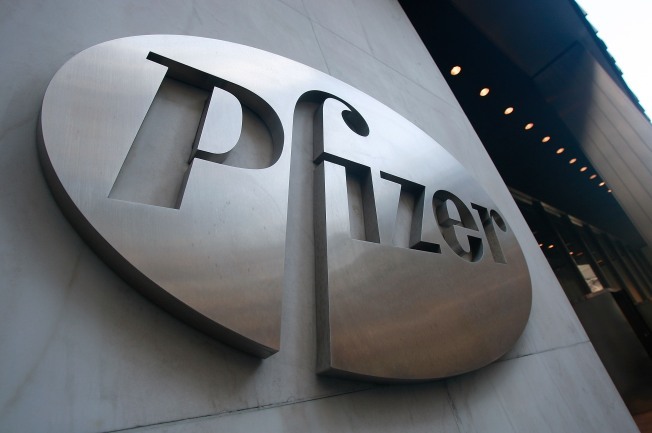 Pfizer Inc. and its subsidiary Pharmacia & Upjohn will pay the settlement to resolve criminal and civil liability arising from the illegal promotion of several pharmaceutical products, according to the U.S. Justice Department. The settlement, which was announced Wednesday, is the biggest ever paid by a drug company for such activity, the Philadelphia Inquirer reports. Pfizer is accused of breaking U.S. Food and Drug Administration rules by marketing drugs for unapproved uses and paying kickbacks to doctors in entertainment, cash, travel and meals to promote and prescribe certain medications, according to Connecticut Attorney General Richard Blumenthal. The allegations involved 13 Pfizer drugs, including Bextra, Geodon, Lyrica, Viagra, Lipitor and Zoloft. Federal law prohibits payment of anything of value in exchange for the prescribing of a product paid for by a federal health care program. In its 2008 annual review, Pfizer mentioned a $2.3 billion pre-tax and after-tax charge resulting from an agreement in principle with the U.S. Department of Justice to resolve a previously reported investigation regarding allegations of past off-label promotional practices concerning Bextra, a medicine withdrawn in 2005, as well as certain other open investigations. Bloomberg reports the settlement is over marketing of Bextra, pain pill Lyrica, the Geodon schizophrenia treatment and Zyvox, which is used for infections. Allegations include marketing the anti-inflammatory medication Bextra for conditions and dosages other than those for which it was approved, promoting the antipsychotic drug Geodon for unapproved uses including to treat attention deficit disorder, autism, dementia and depression for patients that included children and adolescents. They also include selling the pain medication Lyrica for unapproved conditions and making false representations about the safety and efficacy of Zyvox, an antibiotic only approved to treat certain drug resistant infections. While doctors have liberties in what they prescribe drugs for, drug companies cannot leap beyond what the FDA OKs, according to the Inquirer. Connecticut’s Attorney General held a news conference Wednesday morning, where he said the state will receive almost $5 million in the settlement. In financial filings made in January, Pfizer indicated it would pay $2.3 billion over allegations it had marketed the pain reliever Bextra, and possibly other products, for medical conditions different than their approved use.